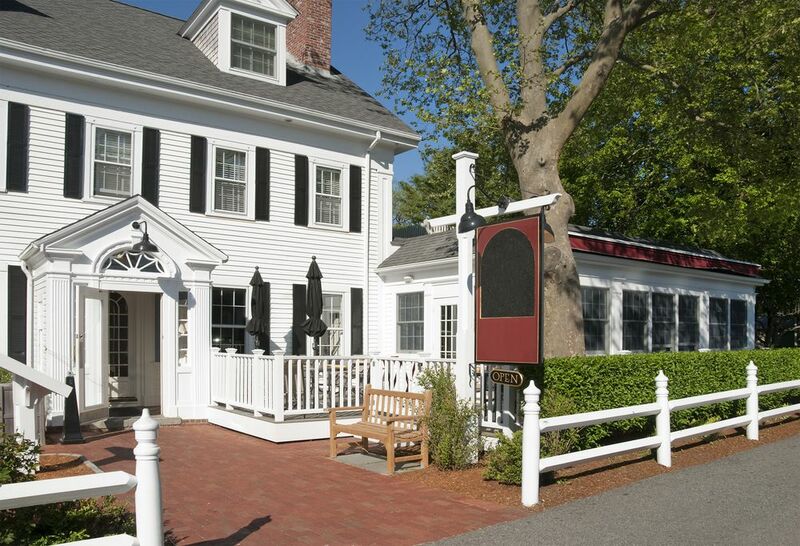 Don’t be confused over choosing the right New England inns for your next vacation. In this article you’ll discover what you must look for and expect in a country inn. And it’s not necessarily what you might think. When you think of a New England bed and breakfast and inn what do you picture? Maybe a traditional New England Christmas card scene, with a sleigh in front of a snow-glistening inn. Or how about walking through autumn colored leaves piled deep on a pathway to a cozy bed and breakfast on a crisp October afternoon. 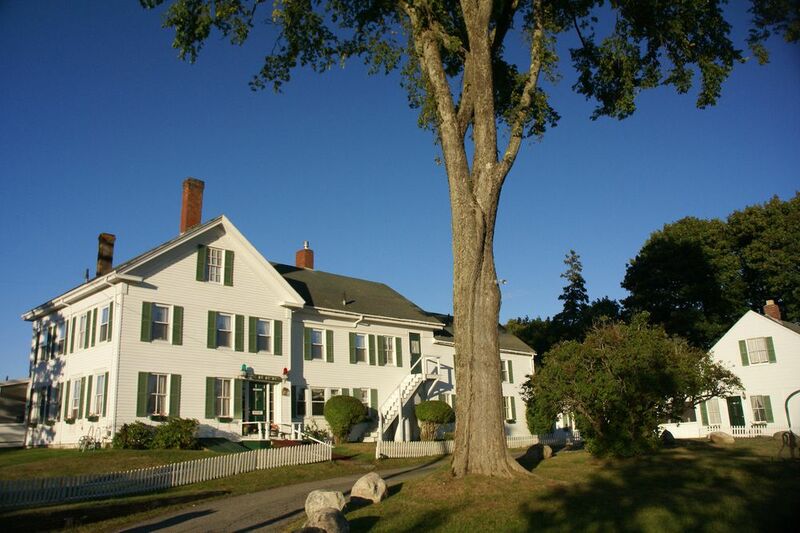 If you already know a New England Bed and Breakfast or Inn is the type of lodging that’ll work just fine for you, then this section will let you search for best deals, and compare rates and amenities with a trusted and professional travel organization. But the fact is New England bed and breakfasts can be part of any vacation… and any time of the year. And I’m going to tell you why I think so… and as a bonus give you 10 tips to choosing the right New England inn for you. Isn’t there a ton of stuff on New England inns out there already? Just pages and pages of listings. The simple fact is, there really isn’t an online inn guide to help you select a bed and breakfast by telling you what to look for… and what to expect. I’ve put this article together for you, so you’ll always have a resource you can use to make a wise choice. And I’ll continue to refresh it as I uncover new or changing information in the New England inn scene. New England bed and breakfasts can be just the right ticket for your vacation, providing you understand how they work and function. And I’m going to explain and demystify country inns so you’ll get the best out of them. So if that interests you, then good, you’ve come to the right place. But what do I know about inns and bed & breakfasts? Well, I spent the first half of my life in Europe. Bed and breakfasts, and inns, are plentiful there, and a popular form of vacation accommodation. In fact if you’ve ever been to England and stayed at hotels near the coast, then many of them are less like hotels and more like a converted home. Also, my best friend and his wife ran a bed & breakfast for many years before retiring to Madeira. And before he retired he shared with me a bunch of tips that I’ll share with you today. Country inns are great value for money. When you consider that many rooms are in the $60 – $130 per night range with double occupancy, and include a full breakfast that’ll keep your engine humming ‘til dinner, then it’s a great deal for you. New England inns have charm and character that well, bluntly put… beat-the-pants-off staying in one these modern strip-mall type hotel complexes. You’ll find them near streams, by beaches, in forests, on lakes… even clinging to the sides of mountains. 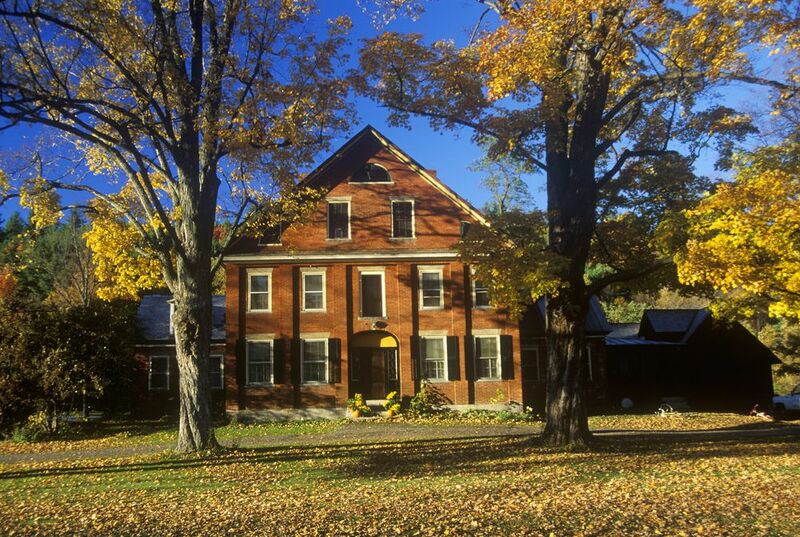 And what’s more… a New England bed and breakfast can be housed in a historic building. New England inns offer dinner as an option for guests only. So you get to eat like a private dinner party at home instead of waiting for hours to eat in a restaurant with strangers. You’ll wake up to the smell of muffins baking in the oven, fresh coffee brewing, and bacon grilling on the griddle. And later in the day, as an added bonus, many now serve afternoon tea and fresh-baked scones or cookies. As you can see there’s a number of benefits to choosing a New England bed and breakfast for your vacation trip over a hotel. But is it for everybody, and will it work for your particular vacation? I don’t know. But what I can do is share my experience, and those in the business, and the experience of others. That’ll help you decide for yourself. Insider Secret #1 - What's the difference between an inn and a bed & breakfast? Let’s start by clearing up any confusion on the differences between New England inns and New England bed and breakfasts. And it’s not so much in the name as how they advertise themselves. Firstly, there’s no difference in accommodation. The charm of a bed and breakfast can be every bit as good as the personality of an inn. The difference is the prepared meals. A bed and breakfast is just that… expect a bed and a breakfast, but you’re on your own for dinner. But in a New England inn… generally, they’re set-up to provide dinner as well… although it’s usually an option, and not included in the quoted price. Usually, the listing will be very clear if dinner is offered. But assume its just bed and breakfast if nothing is mentioned. Insider Secret #2 - Are they right for my kids? When a New England inn says kids are welcome, then you’d better believe they really mean they’re kid friendly. Now there’s nothing wrong with that (I have three myself), but don’t expect too much piece and quiet and solitude. You’ll find a number of listings that put age restriction on children. For example they’ll say something like: 12 or older, or above 6-years old. They’re not being mean. It’s just these places are probably also catering to a single or couple looking for a chance to unwind and free of noise and high activity. As a parent I can relate to that. If you’ve got high-action kids then New England bed and breakfasts may not be ideal for your family. Off-peak travel will save you a bundle. Most New England inns can book their weekends months in advance, and many do. Having guests that return year after year to their favorite country inn, and even favorite room. But filling the rooms, particularly off-season is much more difficult. 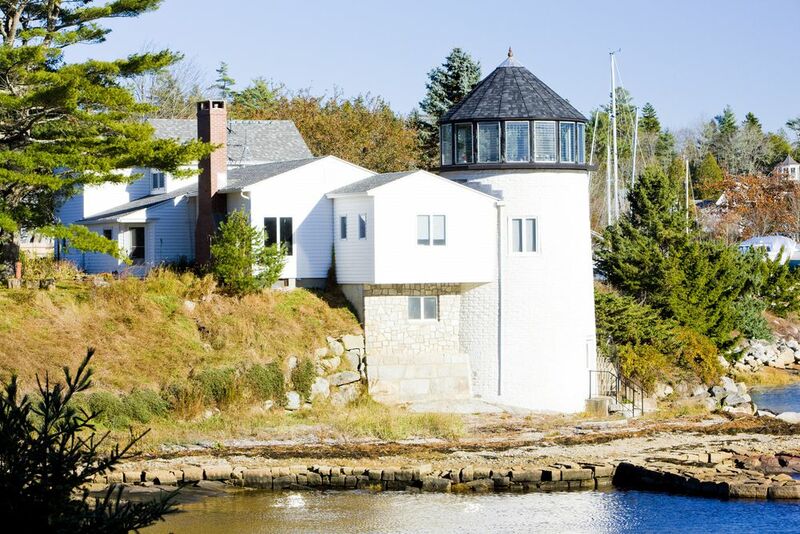 You’ll get the best deals for New England bed and breakfasts traveling mid-week and out of season. Sometimes they’ll also offer incentives to visit them during these times by providing a little extra in the package. Now contrast this with hotels that have the opposite problem, because they cater to the mid-week business traveler, but can’t get people in rooms at the weekends. 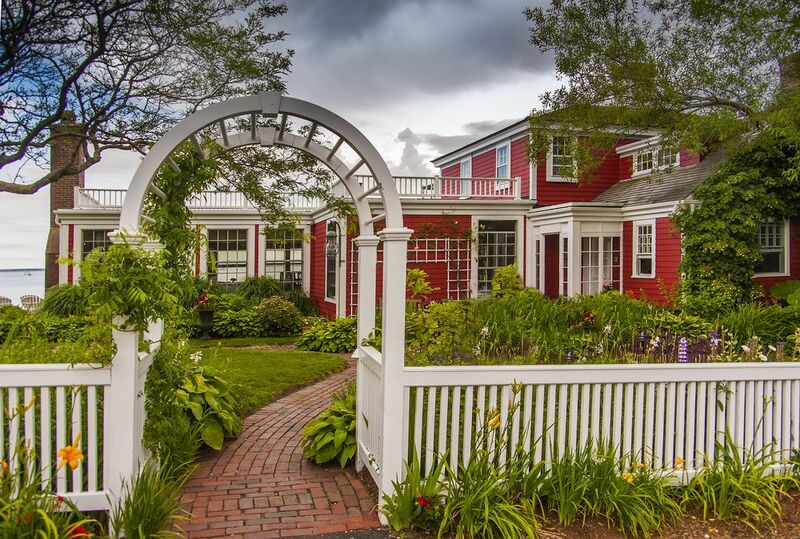 Staying in a New England inn or bed & breakfast is very different than staying at a hotel. To me there are times when the area and the places you visit is the important part, and the accommodation and lodging are secondary. For instance when I took our kids to Disney in Florida, then where I stayed was less important to me than having it convenient for the theme parks. But at other times the lodging is a special part of the vacation experience. For many of the guests at a New England bed and breakfast it’ll be the center or theme of their whole vacation. I guess what I’m saying is that you shouldn’t expect a country inn to be like a Sheraton, with hordes of staff at your beck and call, and soundproof walls. Having a party in your room and playing loud music after 11:00pm won’t win you any brownie points with your host and the other guests. Remember… the innkeeper or host is there to provide you, and other guests, with a unique experience in unique surroundings, but to do that they’ll need your understanding. The host at your New England bed and breakfast knows the area very well. Use that to your advantage. They’ll be able to recommend great places to see locally, and give you recommendations for eating, shopping, and sightseeing. Also, ask the other guests. Chances are this isn’t their first visit to the area. And this is one of the beautiful things about a New England inn… because you’re living in the same house and close proximity with other guests, you have a ready-made excuse to start conversations and get their knowledge of the area. It’s sort of expected to help each other. I’ve learnt of unusual local attractions while talking with another guest over breakfast, and that I’d never have found on my own. Insider Secret #6 - Can you negotiate price? Just like hotels the rate for a Country inn room is negotiable. The main difference is unlike a hotel, where it can take awhile to get to somebody in authority to authorize an adjustment, this is not true with New England inns. The person on the other end of a phone is usually the owner of the bed and breakfast, and they can make the decision on the spot. All you have to do is ask in a nice way. Just remember the innkeeper may only have a few rooms to begin with anyway, and if your haggling over the last room then don’t be offended if it’s no dice on a price reduction. But on the other hand one room of a four room inn without a paying guest reduces a host’s profit by 25%. So it’s always worth asking for a reduction! And this is one of the refreshing and secret weapons of New England bed and breakfasts over the cookie-cutter approach of most hotel rooms. But if sleeping in a room surrounded by jungle décor isn’t what you’d planned that night, then ask for another one. You’ll not offend the host, and if other rooms are available they’ll be only too pleased to accommodate you. You’ll find the food at New England inns hearty and usually loaded with calories. If you’re on a special diet or have specific needs then let your host know before you arrive. The inn will usually be more than happy to prepare a continental style breakfast for you, or accommodate other dietary needs you may have. But on the plus side if you have the full breakfast then you’ll not need much more to eat until the evening. I’ve got through many a day until supper time on the hearty breakfast I had at the inn in the morning. Your host will go out of their way to greet you when you check-in. Usually when you reserve you’ll be told when their normal check-in period is. But most can accommodate you arrivals outside those hours. But you need to let them know if you’ll be late so they can arrange for you to get into the house (yes, the doors are locked after a certain hour), and to your room. It’s one thing to show up at Midnight at your hotel – they are staffed round the clock. But it’s entirely another matter to roll-in after 11:00pm into your New England inn, and expect your host to get out of bed smiling and greet you. Get the point? Insider Secret #10 - Take the cancellation policy seriously. Here’s a tip from my friend the bed and breakfast owner. Take the inns cancellation policy very seriously. The typical New England bed and breakfast is small, and a no show for just one room could mean a 20% drop in occupancy and income. Assume you will be charged if you don’t show without canceling. While inns and bed and breakfasts are doing their best to offer similar amenities to hotels these days, they are mostly old houses, and just aren’t wired or even wireless for the Internet age. While I don’t take my laptop with me on vacation, I know many people do mix business with pleasure. Many New England bed and Breakfasts now have data ports for Internet access. But you’ll want to check and make sure it’s on a private line and not a shared line. Otherwise you’ll be “stuck” for hours slowly waiting for your email to download… when you could be enjoying dinner or sharing road warrior stories with the host. The choices of Inns in New England are staggering and range from a house with a few bedrooms to an old mansion with 60-plus rooms. Most Inns and Bed and Breakfasts have around 10-20 rooms and so booking in advance is a must.